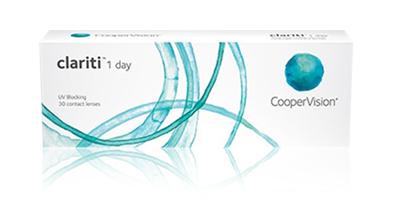 CooperVisionClariti 1 day are daily disposable contacts lenses made from silicone hydrogel material. 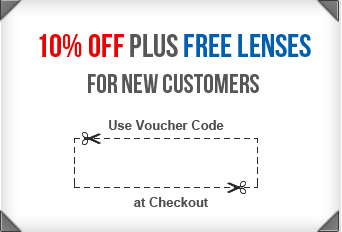 These contact lenses allow three times higher oxygen transmissibility to your corneathan the traditional Hydrogel softlenses, helping promote ocular health and a more comfortable wearing experience. CooperVisonspatented AquaGen, technology ensures the lens will stay moist and wet duringextended hours of wear, reducing discomfort towards the end of the day. Clariti 1 Day disposables feature UV blocking to protect theeyes from the harmful effects of the sun rays. The exclusive Aspheric Optic design reduces spherical aberration over a range of powers – which means exceptional vision all day, and especially in low light.